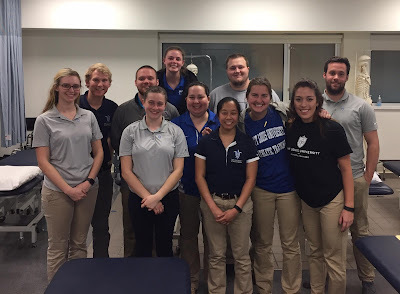 The Saint Louis University Athletic Training Society hosted a sports medicine night with SLU first and second year medical students in the sports medicine interest group. 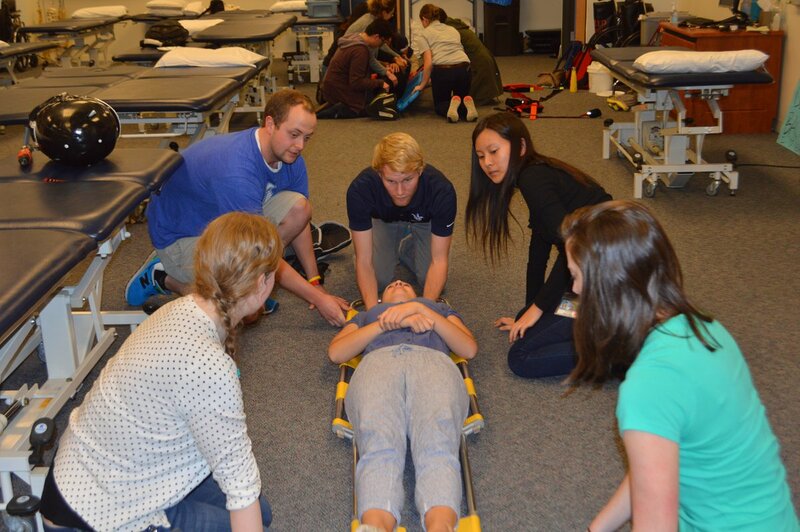 SLATS PY2 students lead the concussion, taping and spine boarding sessions. PY1s and pre-professional students participated in the event by being models for the med students to practice the newly learned skills. Interprofessional collaboration is an important aspect in our education. Applying our knowledge and teaching the medical students helps with creating better communication and patient outcomes. This session not only taught medical students what athletic trainers do, but the athletic training students learned how physicians can help especially if they are on the sidelines. It was really interesting to hear the different backgrounds of some of the medical students of why they want to become physicians. 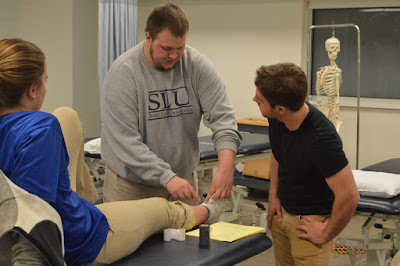 Most of them were athletes too, which is why they joined the sports medicine interest group. While we provide sports medicine care, we are also trained in emergency care. A few of the medical students were EMTs and knew about spine boarding. 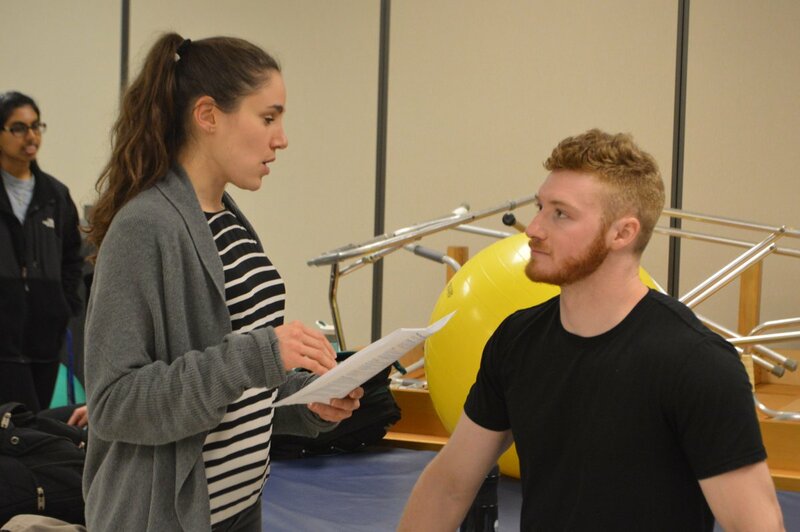 This shows that athletic trainers may work with a variety of healthcare professionals. The better knowledge and collaboration between healthcare professionals sets up better patient outcomes. SLATS PY2 group leaders were Danny Smith and Brandi Burgett for taping, Amelia Meigs, Collin Peterson and Sarah Haenchen for spine boarding, and Olivia Robinson and Stephanie Ross for the concussion session. Alex Hubbs and Pat O’Neill were the PY1 students and Cat Chua and Erin Fabbri were pre-professional students who helped out.